Kick off Grimmfest 2014 at the Printworks with something old and something new at the festival’s preview night on 30 Sep. Here you’ll find one of the horror genre’s most enduring baddies celebrating his 30th birthday, as Wes Craven’s 1984 classic A Nightmare on Elm Street brings Freddy back to the big screen. As the movie that redefined the teen slasher for the pop-culture age, Craven’s film has been loved, hated and psychoanalysed during its three-decade lifespan. Attend this special event and you’ll be in with the chance of winning a Blu-ray boxset signed by Krueger himself, actor Robert Englund. Next up, Aussie director Jennifer Kent sends chills with her motherhood monster chiller The Babadook. This hotly tipped horror follows a single mother struggling with the violent death of her husband and an unruly son who’s convinced his bogeyman is lurking somewhere in the house. As things escalate, the line between bedtime story and reality is dangerously blurred. Venezuelan fave The House at the End of Time brings its supernatural presence to Gorilla on 2 Oct, alongside neo-noir revenge thriller Julia, but it's the following evening of Dario Argento that really excites. Head down to The Dancehouse to catch suspense classic Suspiria scored live in front of your eyes (and ears) by Claudio Simonetti’s Goblin. Stick around and you’ll also catch them doing the same to Argento's cut of George A Romero’s iconic Zombie masterclass Dawn of the Dead. 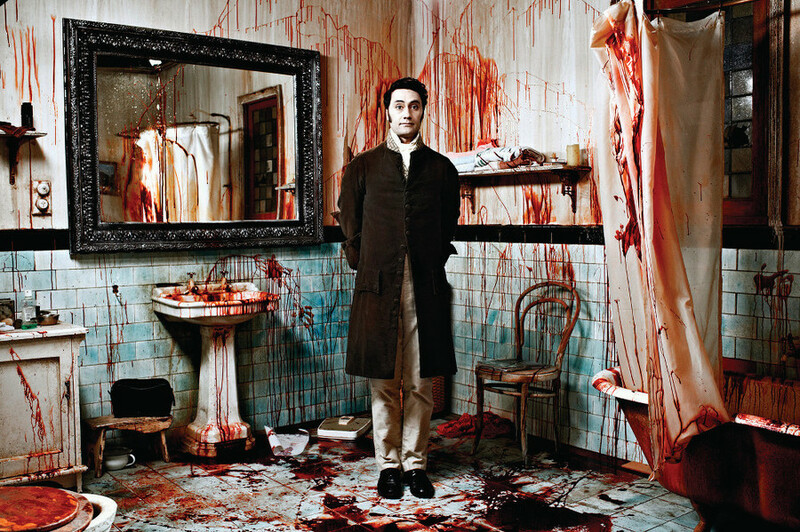 Things lighten up on 4 Oct with undead Kiwi-comedy What We Do in the Shadows by Flight of the Conchords’ star Jemaine Clement and his long-time collaborator Taika Waititi. This faux-documentary follows the mundane and accidentally hilarious lives of a group of vampire flatmates as they struggle with sunlight issues, immortality and how to keep up with fashion trends without a reflection. Meanwhile, director Jordan Rubin keeps the chuckles coming with his mishmash horror comedy Zombeavers. You may recognize this ‘WTF’ film from a few months ago when its title made the entire internet raise a collective eyebrow. The story? You guessed it: teens + beavers + zombies. Was it worth the wait? Time to find out. And finally, Sunday has a couple of aces up its sleeve in the form of a bite-happy girlfriend and a furry cop. Dane DeHaan gets the shock of his life when his recently deceased ex returns from the dead, proving once and for all that there really is no getting rid of some people. Life After Beth stars Parks and Rec’s Aubrey Plaza and is sure to be one of the day’s most popular screenings. 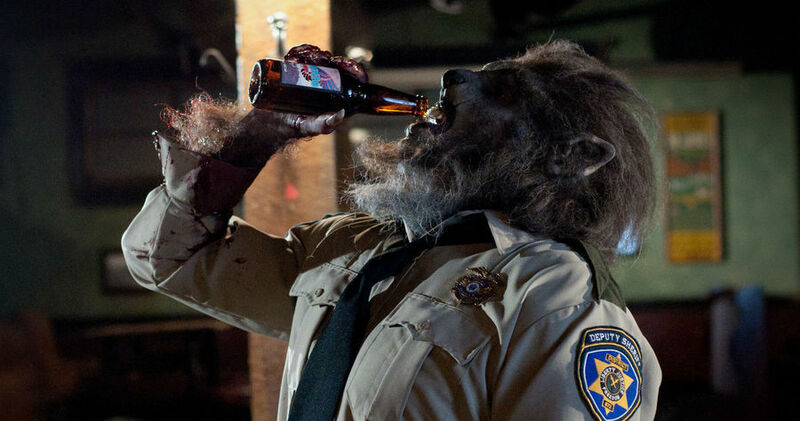 Cut to Sunday evening and the Grimm team call in the fuzz with OTT horror WolfCop. Deep in smalltown America, it takes a drunken encounter with a sinister cult to transform a lazy lawman into a non-stop justice machine. The catch? Fur, sharp teeth and a fear of the full moon. Lowell Dean’s trashy monster comedy may start slow but it leaves a lasting impression, wrapping up Grimmfest 2014 in a whirlwind of blood, gore and DIY filmmaking. Claw-fully good.